Why should you support the teachers’ strike. The article reproduced below was published on “Teacher ROAR” blog, and comprehensively explains why the decision taken to strike is understandable, justifiable, and commendable) Now is not the time to attack those who are speaking out, but those in government who have caused such wilful destruction, for political and ideological purposes. Tomorrow teachers in some regions of England will go on strike. This is the second in a series of proposed strikes by two teaching unions, the NUT and the NASUWT, who between them represent over 90% of serving teachers. This can’t be said often enough. Striking is a last resort. No one wants to go on strike. Teachers lose a day’s pay, and know that they will be accused of wanting the day off, of being lazy, of not caring about kids, or deliberately inconveniencing parents. 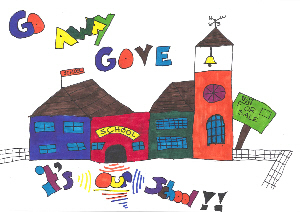 Striking is something you only do when you have explored all other avenues and found them blocked off.But Gove has united teachers in a feeling that a stand has to be made and, since he won’t sit down and negotiate with the unions, we are taking strike action.So what’s it all about? Well, where do we start? First of all Gove has announced that he wants teachers to work longer, pay more and get less for their pension than they agreed when they started the job.So what, I hear you say. People are living longer, it’s a time of austerity and the country can’t afford to pay out for your “gold-plated” pensions. Them’s the breaks, right? No. For a start our pension scheme has had £43 billion more paid into it than has ever been taken out. Let me repeat that. FORTY. THREE. BILLION. POUNDS. more has gone into our pension pot, paid for by serving teachers, than has ever been taken out by retired teachers. Our pension doesn’t need any input from the taxpayer to make it affordable for years to come, it’s fine as it is. The increased pension contributions that Gove has demanded we pay combined with the pay freeze over the past few years means that, by April next year teachers will have had a 15% pay cut in real terms since 2010. That’s a FIFTEEN PERCENT paycut. We simply can’t sustain such an attack on our wages. And teaching is a physical job. Carrying heavy boxes of books around a school, standing all day, crouching down next to desks to offer help, standing on desks to pin up displays, intervening in physical altercations – these are all a daily part of teachers lives. Keeping 30 children focused and on task for the best part of six hours a day takes enthusiasm and energy. It’s mentally and physically demanding and while most teachers say they will struggle to make it to 65, Gove is now insisting they go on until 68. The cynical might say that, of course, he knows that’s simply impossible and means that many teachers will be forced to take early retirement, thereby losing many thousands of pounds from a pension that they have worked hard for for years, often decades. Workload is another issue. While Gove would like to maintain that teachers waltz in at 9, leave at 3, and sun themselves on beaches for six weeks in the summer the reality is very different.Any teacher will tell you that a typical day starts nearer to seven, doesn’t finish until well after 6, that breaks during the day are non-existent and that weekends and holidays are taken up with marking and planning. And that’s for more experienced teachers. These days tales of newly qualified teachers being at school until nine or ten at night and then going in again on the weekend are not uncommon. Which is why there is such a high burnout rate in teaching. And Gove wants us to do more. While most teachers need the holidays to keep on top of their workload, remind their family and friends what they look like, and physically and mentally recuperate, Gove says we should have shorter holidays and stay in school for longer so that we can have additional meetings and supervise after-school sessions. But all of this, the pay cut, the stolen pension, the increased workload, he might have got away with all of this were it not for his devastating onslaught on education. It’s time to stand up for education. It’s time to stand up for teachers. Millions of elderly people in Britain today are having to choose between eating, and heating their homes because the State pension is so low. And what’s more the media are sweeping this issue under the carpet. Cold kills 200 British pensioners a day during winter. Nine elderly people die from cold related illnesses, against a backdrop of soaring energy bills. The Government’s future 2016 State pensions policy is inadequate and will be two tier. Today’s pensioners will continue to receive a meagre State pension and means tested handouts, only future pensioners will receive a £144 a week State pension based on contributions made, and means testing will be abolished. So the UK’s existing 12 million pensioners will continue to be more worse off than their EU counterparts whose State pensions are much higher. I’m sure that a lot of elderly people believe they will be getting this full Universal State pension come April 2016. But they wont. This only applies to new pensioners from 2016. When The Chancellor announced plans for the new state pension, he and all the media called it the Universal state pension. The rate would be £144 (at today’s rates), and it would be payable to all pensioners from April 2016. Now, that is what myself and others understood Universal to mean. There was no announcement stating that this would only apply to new pensioners, and more importantly, that the amount payable would still be based on your national insurance contributions – needing 35 years contributions to get the full payment. Britain is part of Europe at a cost of £60 million per day after net rebate, yet UK pensioners are not allowed to receive and enjoy Europe’s much higher State pensions. This is wrong!. As we are a part of Europe, Britain’s State pension should be upgraded accordingly. There is an EU ruling which says that all pensioners of the EU should be treated the same regardless of where they now live. At the EU Laeken summit in Belgium in 2001, there was a ratified proposal that all EU member States, of which Britain is one, should endeavour to attain a State pension level of 40 per cent of their median wages as their basic State pension by 2007, and thereafter work toward 60 per cent. This is how we did in 2007, compared to the rest of Europe. STATE PENSION AS A PROPORTION OF AVERAGE WAGE 2007 COUNTRY % OF AV EARNINGS. This is how we are doing this year, 2013, compared to the rest of Europe. Country Pension Pay Avg Men & Woman. Nothing has changed for Britain’s pensioners since this ratified proposal was made. Millions of UK pensioners still live in poverty on a much lower State pension than European pensioners receive. 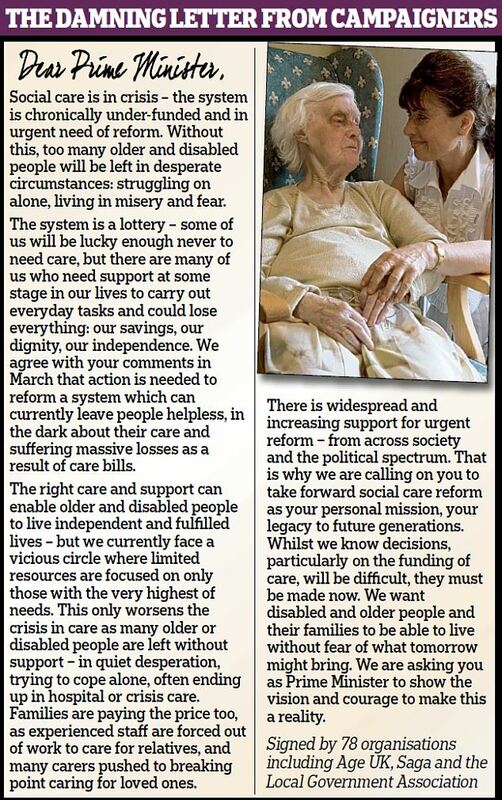 We in Link-Age UK wide are relative younger people taking this issue on, on behalf of our elderly people, wish to urge the Government to stick to the agreement made at the Laeken Summit in 2001, that due to the ratified proposal all member states should endeavour to attain a level of 40% of their median wages as their basic state pension by 2007 and thereafter work towards 60%. and to bring UK State pensions in line with Europe, this should be adhered to. Please support this petition and send a message to the Government through your own constituent MP, or can contact Michael after 7pm any evening to receive a “free” copy of a letter to send directly to their MP at the House of Commons, and not their MP’s constituency address, because this is an issue of national importance, it is not a local matter. People must have a pen and paper at hand when they ring. The phone number to ring is 01803/ 857020. Also for those online, there is a petition, “Department for Works and Pensions:. We urge the UK Government to bring UK State pensions in line with Europe. Please take 30 seconds to sign it right now. Nothing has changed for Britain’s elderly people since the pensions and earnings link was cut in 1980, and this ratified proposal was made at the Laeken Summit in Belgium in 2001, and was agreed by “all” member States of which Britain is one. I urge people to contract me at the above number after 7pm, and to sign our petition to show your disgust at this disgraceful situation for all UK pensioners, and force Parliament to discuss this issue which will bring Britain’s State pensions crisis to the media’s attention.